Soft rot is an economically significant disease in potato and one of the major threats to sustainable potato production. This study aimed at isolating lytic bacteriophages and evaluating methods for and the efficacy of applying phages to control potato soft rot caused by Pectobacterium carotovorum. Eleven bacteriophages isolated from soil and water samples collected in Wuhan, China, were used to infect P. carotovorum host strains isolated from potato tubers showing soft rot symptoms in Nakuru county, Kenya. 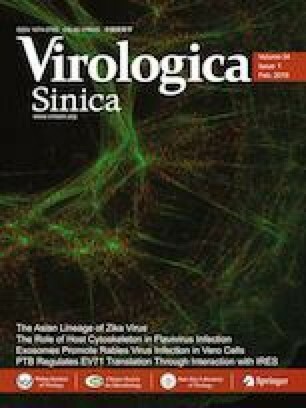 The efficacy of the phages in controlling soft rot disease was evaluated by applying individual phage strains or a phage cocktail on potato slices and tubers at different time points before or after inoculation with a P. carotovorum strain. The phages could lyse 20 strains of P. carotovorum, but not Pseudomonas fluorescens control strains. Among the 11 phages, Pectobacterium phage Wc5r, interestingly showed cross-activity against Pectobacterium atrosepticum and two phage-resistant P. carotovorum strains. Potato slice assays showed that the phage concentration and timing of application are crucial factors for effective soft rot control. Phage cocktail applied at a concentration of 1 × 109 plaque-forming units per milliliter before or within an hour after bacterial inoculation on potato slices, resulted in ≥ 90% reduction of soft rot symptoms. This study provides a basis for the development and application of phages to reduce the impact of potato soft rot disease. The online version of this article ( https://doi.org/10.1007/s12250-019-00091-7) contains supplementary material, which is available to authorized users. We would like to thank Pei Zhang and An-Na Du from Core Facility and Technical Support, Wuhan Institute of Virology, for their assistance in providing TEM micrographs. This study was supported financially by the Sino-Africa Joint Research Centre (SAJC201605) and the Chinese Academy of Sciences (ZDRW-ZS-2016-4). PM, FBM and HPW came up with the concept and designed the experiments. PM, JPY and ANM did the experiments. PM and JPY analysed the data. HPW, SK and FBM guided in developing the manuscript. All authors read and approved the final manuscript.